An unhappily married architect starts an affair with a younger woman, with his wife hell bent in breaking them up. However the other woman has a secret past. So lets go back to the swinging seventies with X, Y and Zee (1972) (also known as Zee & Co) with the lovely Elizabeth Taylor, Michael Caine and Susannah York. Having seen the trailer for this movie, I’d added it to the to watch pile a while back. I was intrigued at the casting with Caine’s character the centre of a love triangle with a glamorous looking Elizabeth Taylor as the wife and Seventies British totty Susannah York as the mistress. I then received a personal invite from Crystal to join her Elizabeth Taylor blogathon, so instead of plonking for my choice that could have been of Father of the Bride (1950), I decided on this movie. The former choice would have followed up my review last year of the film’s sequel.. Fathers Little Dividend (1951). But the latter swung it easily, with Caine as her leading man. And as you know I’m a sucker for Michael Caine, in all his movies… good such as The Eagle Has Landed (1976) and Surrender (1987) and bad the guilty pleasures, such as The Swarm (1978) and The Hand (1981). In fact, I love Caine so much that I’m holding a blogathon celebrating his illustrious career with all things and films this March. So in a wee shameless plug, CLICK HERE for more details. X, Y and Zee‘s film credits have a seventies instrumental ditty (with the lyrical track with this tune at the end of the film). The theme, Going in Circles which immediately transports you back then and I loved despite it’s kinda haunting, wistful feel. And as the credits roll, we watch our photogenically lovely leading stars Caine and Taylor playing a game of table tennis until the opening scene. Which if uncut footage – and if it’s really them – is a pretty impressive rally between the film stars. The music is at times punctuated with them laughing which kind of makes it eerie and makes this scene almost ominous. After the game – which she wins triumphantly – we meet Robert (Caine) and Zee (Taylor) Blakeley, a passionate married couple, who appear to still have fun with each other. This seen as they finish their ping-pong game, as he chases her to the bedroom with his bat still in his hand. There the music tone changes dramatically to as loud and abrasive as her frock, as the married pair get ready to go to a party, and their passionate side continues. They have a few wee niggles with each other, him chiding her on her awful musical taste, and her on his fashion sense. On attending the party, there’s the 70s band – as in Dracula A.D.1972 (1972) – this time with sitar music. Zee hangs out with Gordon (John Standing), her bitchy hairdresser friend and Robert charms the hostess, Gladys (Margaret Leighton in a wig). A young lady in a silk frock, Stella (York) catches Robert’s eye. And with Robert making his move on the pretty blonde, he gives his best 70s patter (which admittedly I would fall for too). Stella tells Robert she owns a boutique and designs dresses, unlike his stay at home, high maintenance wife. Zee spying on the couple with Gordon and with both observing their body language and easy rapport, immediately rile Zee.. So Zee joins them, and with a few snidey comments, she almost blatantly makes claim to her man. As she prattles on, it is obvious there is a strong attraction between her husband and Stella. Zee notices this, and is jealous and making digs about her husband. As she joins them when Stella watches him play snooker. Stella tells Zee of her husband being away, then leaves abruptly. Robert follows Stella and asks her out for dinner. She accepts. And after more of those smooth chat up lines from Robert, the pair kiss. Stella and Robert embark on an affair, and it is revealed Stella is actually a widow with twin boys. Zee visits her love rival’s boutique, and makes bitchy comments as she almost infers she is aware of Stella’s relationship with her husband. Telling Stella, without acknowledging their affair, about how her husband enjoys her own attributes over those seen in others and inferring these comments are about Stella. And that this is not the first time he’s had a fling. At home, Robert and Zee are revealed to have a tumultuous, stormy and volatile relationship. This involving lots of fights both verbal and physical. She taunts him with her many affairs, to get a rise from him. And then adopts a manipulative and childish voice to smooth things over. He in turn is quite horrible to her, is also a philanderer and it almost seems he is hoping to anger her so much that she will leave him. Zee then leaves him for Spain for a few days (as it appears it is her norm after these fights), in what Roger Ebert describes as one of many great suitcase packing scenes from this film. However, Caine’s Robert immediately spends time with Stella and appears genuinely smitten with this more docile, accepting woman. He meets Stella’s sons and has an instant rapport with her children. He makes plans to have Stella over for dinner for while Zee is away. However, on the night in question Zee returns home unexpectedly. After making up with Robert, the door bell rings.. signalling Stella’s arrival…and the rest of the film – including Stella’s secret canbe found in the usual way! The film casting is wonderful, with Elizabeth Taylor regally taking centre of the storyline and with her stealing every scene she is in with this unpredictable, loud and unlikable character. She made Zee almost sympathetic as she fought almost claws out to keep her husband in the opening scenes. However it became apparent the Blakeleys had an obviously dysfunctional relationship which almost thrived on them making each other unhappy, but then making up just as oddly (in one scene he ties her up during a fight). She made Zee a multi layered character, in turns appearing vulnerable but then attention seeking, sweet then vicious, superficially friendly and bitchy, a loving to a spiteful wife. To complement this character, Taylor had a wonderful selection of loud, brightly coloured seventies kaftans which looked fabulous on her then more curvaceous figure. Although her headgear almost questionable with what looked like in Darlin Husband’s words a cavalier hat on one occasion and some pendant like head jewellery on another. This combined with vampy make up, that reminded me of her Cleopatra (1963) role made her character. The full effect couldn’t be more strikingly opposite to her love rival Stella. Stella, in turn was kind of the Twiggy look of the late sixties and quite waify compared to Taylor. Sporting a seventies shag cut and quite modestly and simply dressed in comparison. However Caine, in his late thirties was seventies man about town personified with his almost endearing, cool wardrobe of chunky jumpers, a tux and his trademark seventies spectacles. He looked lovely, despite this his character was a bit of a cad. Robert was seen as a man who obviously hoped to go for quiet unassuming agreeable mistresses. Those who didn’t challenge him. And therefore the complete opposite of his psychologically and emotionally demanding wife. His character appeared cold and quite happy to string along all the women in his life as it suited him, when it suited him. And when they proved more challenging to him, losing interest. However he was easily manipulated by Zee’s behaviour and appeared quite turned on by it. I found myself looking for a character arc in this trio of characters, but sadly there was nothing to redeem any of them. As I got to know the characters they all became more despicable, selfish and manipulative. And by the end, you felt that the “Going in Circles” title track was just how this couple survived as a couple, not caring just who they hurt in the process as they’d return to each other always. With the same unending loop of events recurring as they fought and made up. Bringing in a lover for almost some respite from each other then returning to their odd marriage. And then to taunt each other with it in words or by flaunting their relationship to get a rise out of each other. In contrast to this on-screen relationship it appears the off set friendship between Caine and Taylor was a very amicable one with his memoirs recalling them joking of their height difference (she had to stand on boxes to be heights with Caine), the never ending jug of Bloody Mary on set and of their first meeting (complete with her then husband Richard Burton and their large entourage, which reportedly filled three limousines). And after the final scene the relevance of the opening ping-pong game scene is apparent. It demonstrates as Zee’s favourite game, her love for psychological games where she batters Robert in a rally of verbal insults, and where she has upper hand. Her role reminiscent of her role as Virginia Woolf with her 1966 off-screen husband, Richard Burton. But here in a similar volatile relationship in X. Y and Zee with Caine, much more watchable. As to be honest that former film was uncomfortable to watch (for me) as soon as the couple bickered, as all on-screen, off-screen couples do in fight scenes. But here, demonstrating how hell have no fury as a wife scorned, it really was a case of who’s afraid of Zee Blakeley? 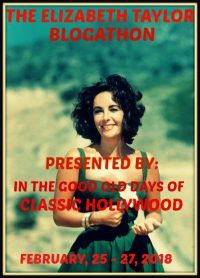 This film review was added to In The Good Old Days of Classic Hollywood‘s Elizabeth Taylor Blogathon. Other film reviews on this site with this cast include Michael Caine in Surrender (1987), The Swarm (1978), Dressed to Kill (1980), The Hand (1980) , Bullseye (1990), Interstellar (2014) and The Prestige (2006). Susannah York appears in Superman (1978) and Elizabeth Taylor in Father’s Little Dividend (1951). John Standing also appears in The Eagle Has Landed (1976). Great blog, I always enjoy your work!! Thanks Chris – good to know someone else discovered it too, and thanks for the compliment re blog! This is one of the few Elizabeth Taylor films that I have never seen. I like the sound of the cast. Will have to check this out one of these days. Great review. Thanks Maddie, love to hear your thoughts on it when you do. I haven’t seen this one; but, your review was “spot on”. I plan on starting my post on Cain for your Blogathon. It’s just so difficult to decide which film. Like you, I enjoy watching him on screen. It is impossible to pick a bad Cain in any movie LOL Excellent post Gill. Thanks, looking forward to your post.